After commanding the Titans in their war against the Olympians, Atlas was forced to hold up the heavens on his shoulders. His life was a tragic story of a lone God fighting boredom on Mount Olympus. However, monitoring the earth from above, Atlas watched Earth change and the emergence of super powered beings donning capes and tights. Growing restless and craving adventure, Atlas decides to take the world in his hands and become one of the Earth’s newest heroes. I picked this up last night because it caught my eye for two reasons: One, it was FREE! And TWO, it’s written by the legendary Marv Wolfman! Considering Wolfman’s resume as a comic-book writer, I figured this would be worth checking it. 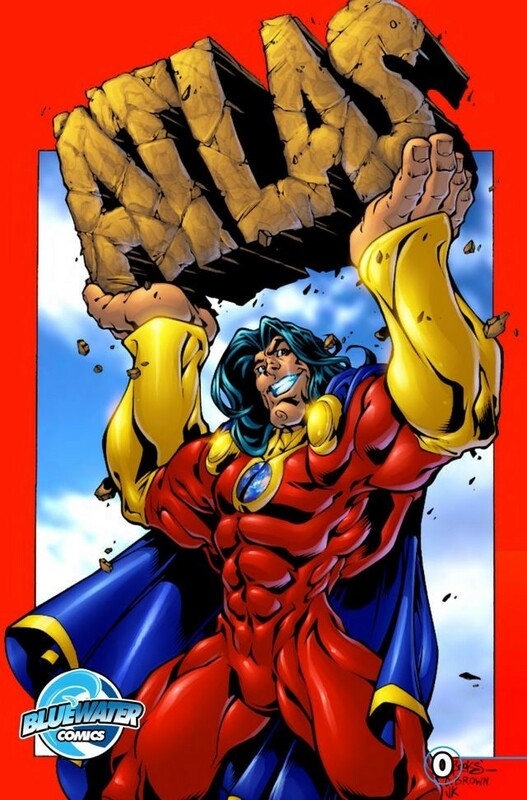 This version of Atlas is credited as created by Bluewater Comics’ publisher Darren G. Davis, and this issue is drawn by Mark Brooks.